You’ll be familiar with the narrative. Lobbyists are quietly pulling all the strings in the political world. Deals are done behind closed doors, men in dark suits lurk in the corridors of power, and vested interests throw money at political parties to buy influence over what passes through parliament. But what if that way of working is being turned on its head? What if those vested interests are out in the open now, using the methods pioneered by political parties? Rather than waiting for political donations to trickle down and their lobbyists to bend the right ears, what if interest groups are setting up fully fledged political campaigns of their own and cutting out the middleman? What’s more, you don’t have to convince a majority of voters, or even a sizeable minority. To win some fights, you only have to sway a small group of people in marginal electorates. Here’s how you do it. You pick ten or fifteen swinging seats and scare the local MPs out of their wits. That’s all. You can give your lobbyists in Canberra the week off and simply allow the terror of the MPs to percolate through to the party room and the leader’s office. The marginal-seat politicians will be begging their government to end the pain. Take the gambling industry’s brilliantly executed campaign in 2011 and 2012 against the slot-machine reforms advocated by Tasmanian independent MP Andrew Wilkie. Spearheaded by ClubsNSW, it dismantled the proposed legislation one piece at a time, watering down and postponing the few minor impositions that remained in place. In terms of legislative outcomes, it was a triumph. But the clubs went further. Even though they were acting out of self-interest, they were able to win a public relations war that, on paper, they should have lost. They achieved this by choosing the pitch on which the entire game was to be played out; it was a narrative they owned from beginning to end. The substance of the problem-gambling issue that underpinned the reforms was all but ignored. What we heard was a story of mums and dads concerned that government policy was about to end their way of life, and of pensioners at the local bowls club voicing fears that their days may be numbered. And in their corner was a community-based, not-for-profit organisation doing what it could for members’ rights and pleading for common sense to prevail. It was a marginal-seats political campaign in all but fact. It was carried out at a bargain-basement price: the clubs and their backers spent a mere $3.5 million out of a $40 million war chest, much less than the mining industry spent tackling Labor’s super-profits tax. And it was time and money well spent, buying the industry the strategic know-how for future campaigns and a reputation so fierce it may scare off a generation of backbenchers. WHEN Tasmanian independent MP Andrew Wilkie made poker machine reform a condition of his support for the minority Labor government in the wake of the 2010 election, he could have been forgiven for thinking he was onto a winner. Polls showed between two-thirds and four-fifths of Australians supporting reform and the usually hard-nosed Productivity Commission had sounded the alarm over the high incidence of problem gamblers among poker machine users (they account for 40 per cent of pokie revenue). 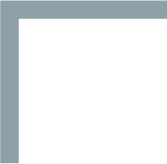 Two things had come together: a popular mood for change and an authoritative report pointing to a serious public health problem. Wilkie latched onto two of the Productivity Commission’s suggested remedies. The first (recommendation 11.1) was that by 2016 (or 2018 for smaller venues) all poker machines be limited to $1 per button-push, which was seen as a way of cutting the losses suffered by problem gamblers. The second (recommendation 10.4) urged the introduction of pre-commitment technology, which would enable players to voluntarily set their own spending limits. This would help those who get caught up in the excitement and end up spending more than they had planned to. Desperate for Wilkie’s support in parliament, Julia Gillard broadly accepted his reform agenda. But in a matter of days the minority government got back to Wilkie to tell him that $1 bets were off the table and pre-commitment was the best it could do. Just how that decision was reached is unclear, but in retrospect it appears that Wilkie’s readiness to accept the offer was a tactical error. What was clear by then was that Clubs Australia had hit the ground running. 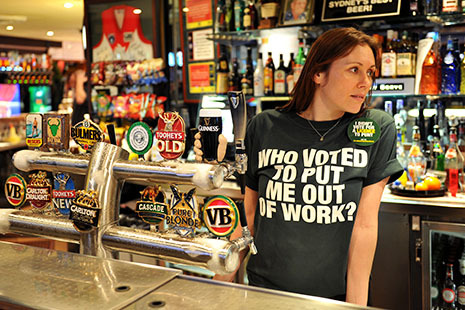 The campaign would end up being supported directly by casinos, the Australian Hotels Association (representing pubs) and, eventually, by the union representing many of the 268,000 people employed by the sector. But the clubs would remain the public face. Representing not-for-profit organisations, the club lobbies had strong community ties and were by far the most presentable anti-reform grouping. And, of course, Woolworths was a player as well, though it doesn’t go out of its way to remind people that it is one of the biggest operators of poker machines in both Australia and the world. These lobby groups are often upfront about their strategies. ClubsNSW’s 2012 annual report acknowledges the success of its anti-Wilkie campaign and claims the organisation has been building on its win to establish an even greater Canberra presence to “reduce policy shocks and political accidents that heavily impact the financial viability of clubs.” In other words, strategies are already in place to deal with the next Wilkie. Supporters of poker machine reform don’t buy the clubs’ community investment argument. Livingstone describes Australia’s 5700 clubs as “net takers,” and the 2010 Productivity Commission report accepts the figure of 1.8 per cent as the proportion of poker machine profits handed out to community organisations by clubs. If nothing else, though, it’s clear that Clubs Australia pursued a strategy in which a PR message of community support was integrated into a clinical strike against Labor marginal seat-holders — particularly those in New South Wales, where pokies have been legal in clubs since 1956. Going marginal was good tactically and it meshed nicely with the communications strategy already in place. It’s a smart approach and one that had been road-tested overseas. 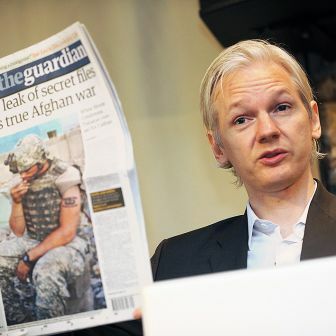 Earlier this year Fairfax newspapers revealed that ClubsNSW had sent chief executive Anthony Ball and Josh Landis to a seminar in Washington where speakers from the powerful National Rifle Association explained how to use large memberships to create “grassroots political campaigns.” According to the report, the course included advice on how to hijack the agenda of town hall meetings. The second part of the clubs’ campaign, called “Won’t Work Will Hurt,” singled out marginal Labor-held electorates. It involved direct mailing to residents in eighteen seats in New South Wales and all Labor-held seats in Queensland, rallies by community groups across New South Wales, and large billboards with the name of the local member followed by the question, “Why don’t you stand up for our community?” The clubs even produced drink coasters to hammer home the message. And in case anyone missed it, in September 2011 Channel 9 directed League commentators Ray Warren and Phil Gould to read out an “it won’t work and it will hurt” statement on air. 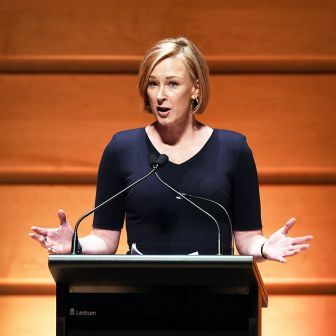 On the north coast of New South Wales, the local paper, the Daily News, reported on the appearance (and later the removal) of billboards targeting Justine Elliot, the MP for Richmond, who was seen as vulnerable despite sitting on a margin of 7 per cent. Other MPs who came under pressure included Mike Kelly (Eden-Monaro), Janelle Saffin (Page), David Bradbury (who holds Lindsay by 932 votes), Michelle Rowland (Greenway, with a margin of 0.9 per cent), Deb O’Neill (Robertson) and Jason Clare (the MP for Blaxland and a member of cabinet). I contacted the offices of all these MPs but was told that none of them was prepared to relive their brief but painful close encounter with the gambling industry. One staffer joked that the MPs will talk happily… after the September election (the joke being that by then they may have lost their seat anyway). The one exception was Mike Kelly, the former army lawyer who was appointed as defence materiel minister in a recent reshuffle. 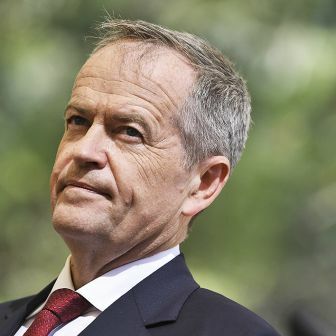 His electoral appeal has always been that he isn’t a product of the party machine and can therefore maintain a level of independence — and on poker machines that proved to be the case. He was often outspoken in his criticism of the proposed pre-commitment legislation and, as a result, was spared the sharpest attacks of the marginal-seats campaign. Yet even Kelly had to contend with busloads of angry protesters from the ninety-seven pubs and clubs in his electorate and, according to the Narooma News, he was heckled after being asked whether he would cross the floor on the issue. All of Kelly’s claims are hotly contested by proponents of poker machine reform. But his suggested compromise — that the technology be tried out first — was music to the clubs’ ears. Many of the targeted backbenchers took the “trial first” option to prime minister Julia Gillard who, in November 2011, had replaced Wilkie’s vote on the floor of parliament with that of conservative defector Peter Slipper. The government would now be able to walk away from the Wilkie deal and live to tell the tale. Under the final agreement, the Australian Capital Territory would be asked (but not forced) to hold a trial of pre-commitment technology — much to the dismay of many, who argued that because ACT residents can easily drive across the border into New South Wales, the trial was destined to fail. Not surprisingly, the issue of trials quickly became academic. In February this year the ACT’s clubs voted to wait until after the federal election. In other words, the trial of compulsory pre-commitment technology will never happen — something the clubs would have anticipated when arguing for the trials in the first place. The proposed legislation Wilkie ended up with — a gentle phase-in of pre-commitment technology, withdrawal limits on (some) club ATMs, and a few other bits and pieces — was an unmitigated victory for the clubs. Wilkie conceded at the time that the legislation was “much less than we had on the table,” but said that the reforms were “better than nothing” and worth supporting. Anti-pokies campaigner Nick Xenophon disagreed, describing the bill as “piss weak” and a missed opportunity. Amendments to the watered-down legislation watered it down even further: clubs with between eleven and twenty machines were given until 2022 to install pre-commitment technology. THE “Won’t Work Will Hurt” campaign worked a treat in the marginals. As MPs saw the billboards go up with their names on them and their constituents started to receive targeted mail, they started to voice their concerns in Canberra. They quickly became their tormentors’ most fervent advocates. But why the fear? If national polls were suggesting that at least two-out-of-three Australians wanted poker machine reform, why would marginal MPs be so susceptible to pressure from the industry? Why did they frighten so easily? And why did the government cave in? Here’s the answer: it’s complicated. First, there’s the cultural side of things. Clubs are a powerful community connection for Labor, particularly in regional Australia. Mike Kelly wouldn’t be the only MP running mobile offices out of a club. 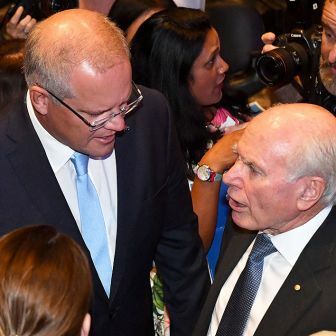 For an MP, becoming persona non grata in clubs means losing a chance to interact with what politicians in marginal seats perceive to be an important demographic: the Anglo-Celtic, aspirational, lower middle class who John Howard saw as his Forgotten People. Ignore the battlers at your peril. So, there’s an incentive for politicians to tap into the clubs’ membership and their programs of community outreach. But the fear factor came from the former Labor staffers who now hold prominent positions in gambling organisations and are no strangers to old-school political intimidation. They do this in two ways: by getting the word out through the media that powerful people are out to get you, or by showing you polling that is guaranteed to give you nightmares. Or both. Accompanied by a chart headed “Clubbed to Death,” showing which seats were targeted, the piece explained how the “powerful triumvirate” of clubs, casinos and hotels had joined forces to create a $40 million “seat-by-seat” campaign to unleash against marginal Labor MPs. The article quotes an “industry player” predicting that the campaign “would attempt to eviscerate the government’s ranks of ministers and parliamentary secretaries”; while in New South Wales the clubs had “already painted a red dot on at least eighteen of the ALP’s twenty-six federal members.” Clubbing, evisceration, sniper targets: I was petrified just reading it. Those MPs who agreed to show up for community meetings organised by the clubs quickly found they had walked into an ambush straight out of the National Rifle Association handbook. “They were essentially put on stage and asked to answer the question, ‘How do you feel about this club closing down?’,” one Labor MP tells me. “Or they were asked, ‘How do you feel about clubs losing 5 per cent of revenues and not being able to sustain support for local sporting organisations?’” Those MPs who wanted to talk about problem gambling found they had no room to move. As for the polling, Clubs Australia acknowledged that it conducted “extensive research” into the marginal seats. I have since discovered that a detailed seat-by-seat analysis was carried out by a reputable research firm. I was amazed that a lobby group would spend big money on polling marginal seats, but when I put it to an acquaintance who is a successful lobbyist and a former Liberal ministerial staffer he chided me for my naivety. Lobbies poll the marginals, just as the government and the opposition do; the ACTU’s benchmark “Your Rights at Work” campaign ahead of the 2007 poll — largely credited with the Howard government’s defeat — targeted marginal electorates. If you’re not polling marginals you’re not in the game. It’s reasonably safe to assume, therefore, that polling in marginals carried out by both Clubs Australia and the government must have told them something that contradicted the national polls’ verdict that there was indeed an appetite for poker machine reform. It could be an issue of regional or suburban areas having a much closer relationship with their clubs than is the case in the latte-sipping, inner-city electorates. Or perhaps, more simply, it was the depth of opposition that was not immediately apparent in the national polls. So while between 65 and 80 per cent of voters nationally may be in favour of poker machine reform, the clubs’ polling would have revealed that the issue isn’t felt strongly enough to make people go out of their way to support Labor. But the 20 to 35 per cent of people who are not in favour of reform may just be the types to get physical with their local, marginal MPs. There might be yet another explanation for the discrepancy between the national and the seat-by-seat research: politicised polling by unprofessional operators. You could clobber a marginal seat-holder with poll results that aren’t worth the paper they’re written on and that MP might not always have the nous to understand what’s going on. IN THE fog of war over pokie reform much of what occurred in 2011 and 2012 was unclear. One complication was Kevin Rudd’s lack of enthusiasm for the Wilkie legislation, which led to speculation that he was promising troubled backbenchers the problem would go away should he be returned to the leadership. The impact of that issue on the final outcome is hard to assess. What’s more, we will never really know how much the clubs’ campaign has contributed to a swing against Labor in the marginals. The affected MPs are facing defeat for a range of reasons; the extent (if any) of the gambling lobby’s part in their downfall is impossible to gauge. Nor will we know what would have happened if the government had embraced Wilkie’s demands wholeheartedly (starting from $1 bets) and devised a strategy to tap into the widespread popular mood for reform. The idea that compulsory voting provides a safeguard against lobbyists is one that many of those I spoke to mentioned. But again, it’s difficult to put that to the test. And it would be possible to argue that forcing uninformed citizens to the polls when they would otherwise have stayed home may also be a positive for the lobbyists. What if the voter’s only contact with political information is the message on his club’s beer coaster? But there is something we know for sure: the clash with the gambling industry and Gillard’s shift from Wilkie to Slipper didn’t play out well for the government. In the words of the recently departed former Italian prime minister Giulio Andreotti, “Power wears down those who don’t have it.” What’s apparent now is that the gambling industry has power; the government doesn’t. With Clubs Australia vowing to remain vigilant and scuttle future attempts at reform, you’d expect anti-gambling advocates to be downbeat about their prospects of success. Not so. Charles Livingstone says that before Wilkie came along, those with concerns about the impact of poker machines were assuming that steady but incremental change to legislation around the country would have a major impact over the next ten to fifteen years. This remains their outlook. James Panichi is a freelance journalist. 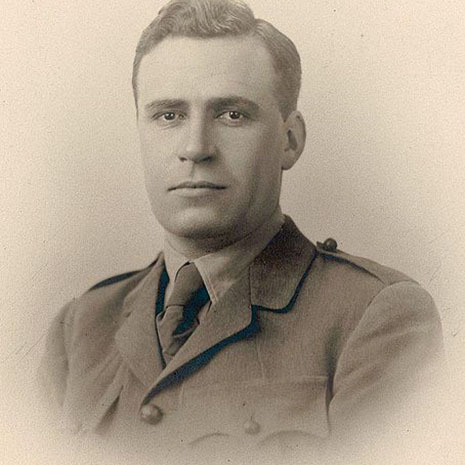 “A hero of Gallipoli”: Keith Murdoch in uniform, probably during the first world war.